Here comes a sneak (hands on) preview of the ” Aiguille d’Or ” GPHG winner, the Greubel Forsey Tourbillon 24 Secondes Vision . This is the second time, in just four years, that the manufacture has been awarded a prize, the most prestigious one actually, following the 2012 crowning of the Greubel Forsey Invention Piece 2 as “ Best Complicated Watch ”. The 24 seconds tourbillon , whose balance wheel and spring assembly lye on a surface inclined by a certain degree (that is actually not been declared), is encased into one of the sleekest and simplest design sets ever conceived by Robert and Stephen, it consists of a 43,5mm wide and 13,65mm thick case made of white gold that hosts a regulating system working at a 21,600 beats per hour and ensuring up to 72 hours of power reserve . The case plays a key role in determining such a classic take and such a reduced thickness, while still maintaining a hefty set of complications and a refined mechanical architecture. The main sapphire glass on the case back has been split into two parts and the watch replica features a second glass built in the shape of a flat bubble (to allow an acceptable wearability I guess); this is needed to provide enough room for the fast rotating 24 seconds tourbillon . I would like to find out why this particular tourbillon rotates at such a fast rate ( 2,5 times faster than any traditional 60 seconds tourbillon ) and why it features an inclined displacement architecture and, hopefully, I will be able to satisfy my curiosity at next January’s SIHH by asking this questions to the manufacturer’s representatives directly (even though it has been explained somewhere else on the net I guess). The upper and lower bridges of the tourbillon deserve a few additional words; they have undergone a long and precise hand polishing process that has given them a perfect shining appearance; that means no distortion at all, something that is very hard to achieve nowadays, unless your workshop employs the very best of craftsmen. The case back and the dial of the Greubel Forsey Tourbillon 24 Secondes Vision represent the two different sides of the same coin; the dial is extremely neat, with super slim blue hands and a solid gold dial with blue indexes that have been first engraved and then enameled using the so-called ” oven-firing technique “. 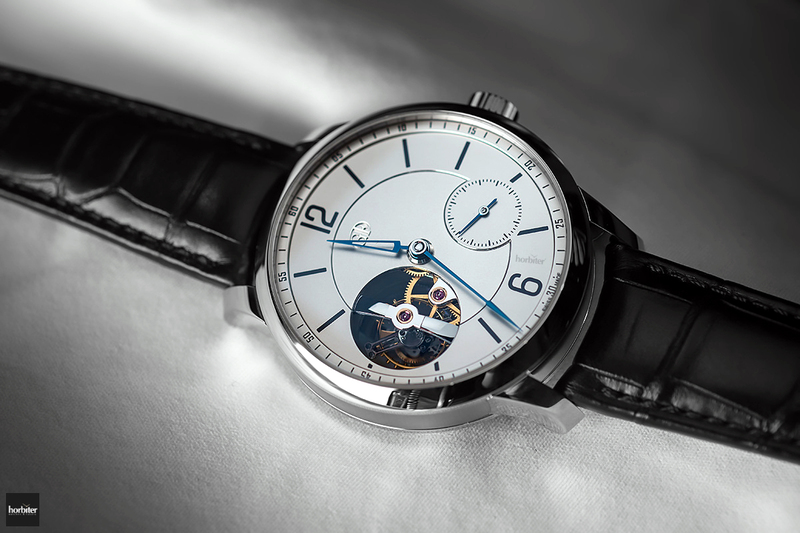 At first glance it looks as if you weren’t in the presence of a Greub el Forsey , given the apparent lack of technical and aesthetic complications that are usually associated to this brand, but as soon as you turn the case on its back side, you will instantly realize that every single element Greubel Forsey timepieces are renowned for is actually there. From the movement assembly or decoration to the Power Reserve indicator; it seems as if the manufacturer aimed at creating some sort of a tourbillon for an everyday use with the usual out-of-the-ordinary set of complications, high-quality finishes and top-notch craftsmanship that need to be discovered at a later stage. Produced in just 22 pieces , each Greubel Forsey Tourbillon 24 Secondes Vision (the one in the attached pictures is prototype n° 1) retails at 290,000CHF and I am kind of envious of those lucky 22 buyers who will be able to wear this timepiece during their business or vacation days.